Sanjay Commerce Classes is one of the Best UGC NET (Commerce) Coaching in Jaipur. Sanjay Commerce Classes provides you best faculty team for preparation of UGC ENT Commerce. No doubt, all faculties are professionals, experienced and qualified. They have best technique and skills of how to teach well. Sanjay Commerce Classes – Best UGC NET (Commerce) Coaching in Jaipur also gives classes for 1st – 3rd std. all subjects, 5th – 10th std. science and mathematics, 11th – 12th commerce classes, B.Com, M.Com, RPSC 1st Grade Arts & Commerce Coaching, RS-CIT, Tally and Home Tuitions. The exam is conducted for two motives – one is to provide Research Opportunities to the willing & talented candidates and another is to offer them outstanding career options in the field of Lectureship. Commerce Post-Graduates usually opt the UGC NET (Commerce) Subject to pursue their career either as Junior Research Fellows or Commerce Professors or both. Well, as aspirants who are coming here for Best UGC NET (Commerce) Coaching in Jaipur. 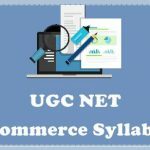 You must know the criteria, process and syllabus of UGC NET (Commerce). 1. Paper – 1 ( Common for all ) 50 100 60 min. 2. Paper – 2 100 200 120 min. Sanjay Commerce Classes is best for UGC NET (Commerce) Coaching in Jaipur because we provide not only classes but we provide the environment and skills through which a student can get qualify in UGC NET Commerce exams easily. We fill such motivation and enthusiasm so they can fight for such exams.